BoostSales can take your E-Commerce business to the next level with our fully-managed web and mobile development solutions. We can give your visitors a new and improved experience by designing and implementing brand new webstore designs, features, apps, and extensions at a lower cost and time investment. BoostSales optimizes E-Commerce websites to be future-ready and built on industry best practices for the best customer experience. Beautiful webstore designs: We can design and implement the perfect customized webstore for your brand. 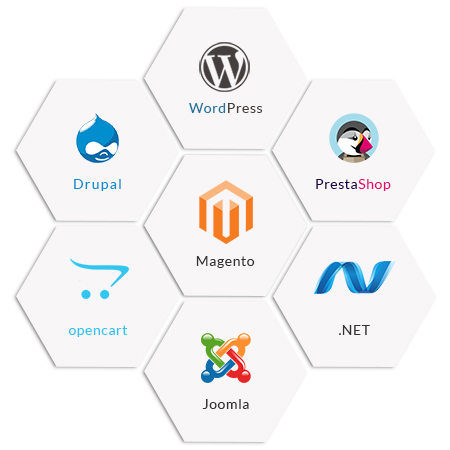 You also get to select from more than 100 professionally designed E-Commerce templates to launch quickly. 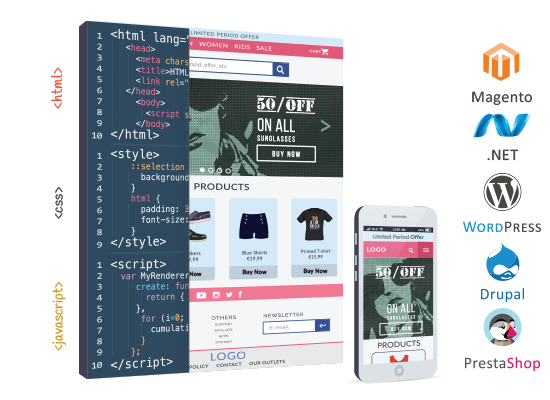 Mobile-optimized & cross-browser compatible webstores: We develop webstores that are fully optimized for any visitor on any device, tap, and touch-friendly, and as adaptable to a finger tap as they are to a mouse click. Fine-tuned SEO & Social media integration: We implement SEO best practices, custom-tailored for your shopping cart platform. We can deeply integrate social media and content marketing features into your webstore. Speed and performance: Our web development team help you ensure the smoothest and most consistent user experiences for every visitor – including Content Delivery Network (CDN) configuration and server tuning. Extensive testing: We have a rigorous in-house testing framework that includes shopping scenarios, usability, load, and performance testing to ensure a consistent and hassle-free customer experience. Best-in-class support: We know that our merchants need rapid and effective technical support to ensure that their online business keeps running with no downtime. Our team provides you maximum uptime with a rapid response. We design and develop fully responsive webstores for merchants to bring them to customers’ fingertips. 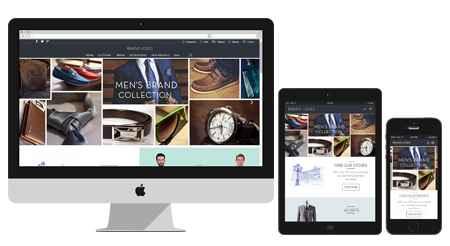 We can upgrade your webstore to be ready for the mobile web. We also offer complete M-Commerce mobile app solutions to merchants who want their very own mobile store apps. We enable you to be mobile-ready to sell with your own E-Commerce app on all major platforms (iOS, Android, Windows Mobile).